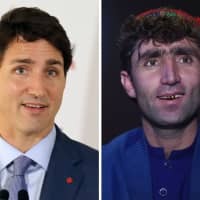 KABUL - An Afghan talent show contestant’s striking resemblance to Canadian Prime Minister Justin Trudeau has turned him into an unlikely celebrity in the war-torn country — and potentially given him the winning edge. 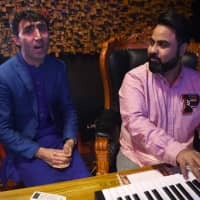 Abdul Salam Maftoon, a wedding singer from a village in the remote and impoverished northeastern province of Badakhshan, had never even heard of his more famous doppelganger until a judge on the popular television music contest “Afghan Star” pointed out the uncanny likeness. “People have forgotten my name and now they just call me ‘Justin Trudeau,'” Maftoon said, his self-conscious smile revealing two gold-plated front teeth. “I didn’t know anything about Justin Trudeau until I saw the photos on social media. 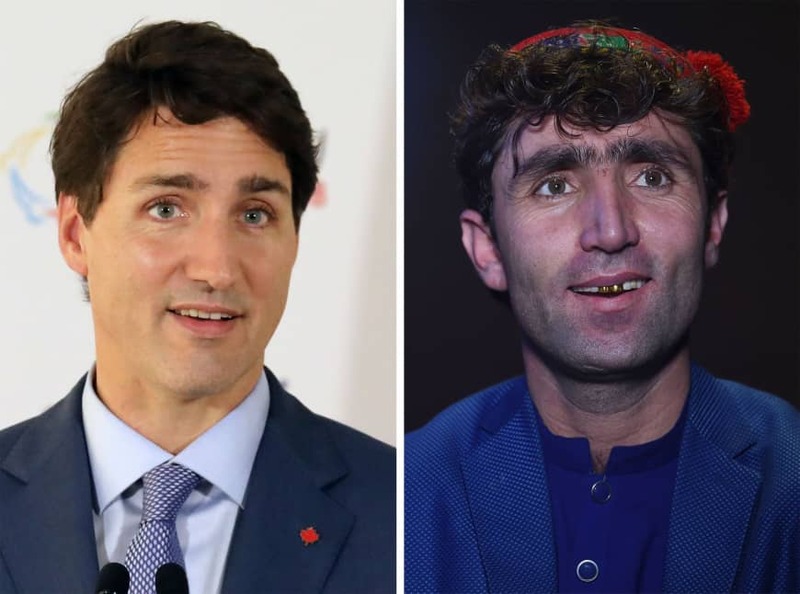 Composite photos of the pair — Maftoon wearing a hat favored by men in northern Afghanistan and Trudeau in Western-style clothing — have drawn scores of comments on Facebook. And a video of an “Afghan Star” panel discussion about their physical similarities has been viewed tens of thousands of times. “Trudeau’s lost twin,” wrote Neila Abdulzadah on Facebook. Maftoon has a good chance. The performer is among eight contestants to make it through to the next elimination round on Thursday. The final will be held on March 21, the Persian new year’s eve. So far, Maftoon’s repertoire of romantic folk songs, which he sings in both of Afghanistan’s official languages Dari and Pashto, and his looks have impressed viewers, whose votes decide which performer is kicked off the show each week. 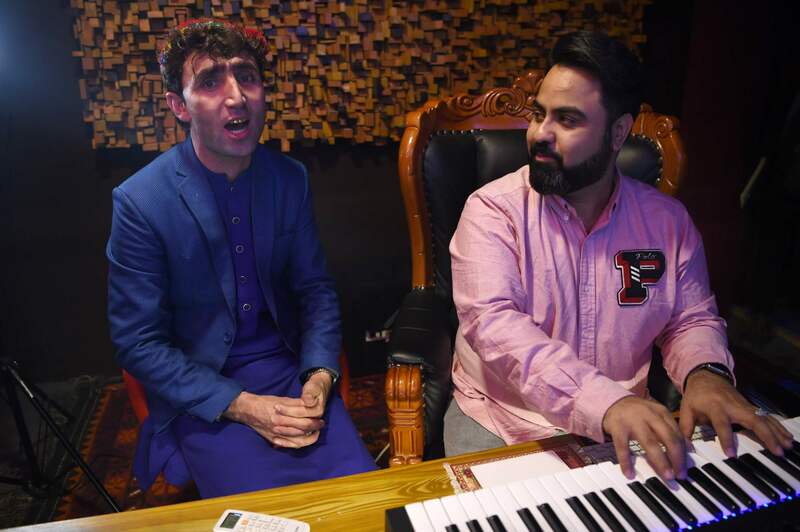 “He looks like my prime minister,” said Afghan-born Canadian musician Qais Ulfat, one of the four judges who first pointed out Maftoon’s resemblance to Trudeau. “His voice is very satisfying. He has that god-gifted vocal ability. Until now, Maftoon has relied on singing and playing instruments at wedding and birthday parties to support his wife and four children. But he is confident that his newfound fame will boost demand for his entertainment services. “When I go back to my hometown, people will definitely call me,” Maftoon said, his trademark hat perched on the back of his head as he practiced vocals with Ulfat in a recording studio at local television station Tolo.